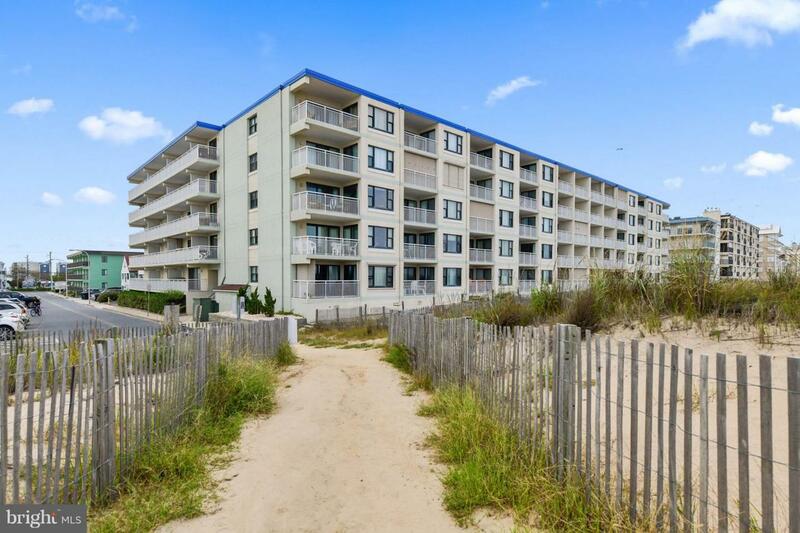 Direct ocean front 2 bedroom condo in highly desirable mid-rise masonry building. Recent improvements to building include exterior painting, caulking and new railings on the west side of the building. Convenient first floor location. Ample parking. Condo has new HVAC in 2018, and newer stainless steel appliances. This property is located to shops, restaurants and the boardwalk. Exclusions Bedspread/Shower Curtain Master Bedroom. Grey Recliner Electronics (Tv's) Contents Of Closets.